Back in the day – in 1969 – American space travel was inspiring. The mighty Saturn V rockets, 110m tall and 10m wide, launched Apollo 11 to the Moon and inspired everyone who saw it. 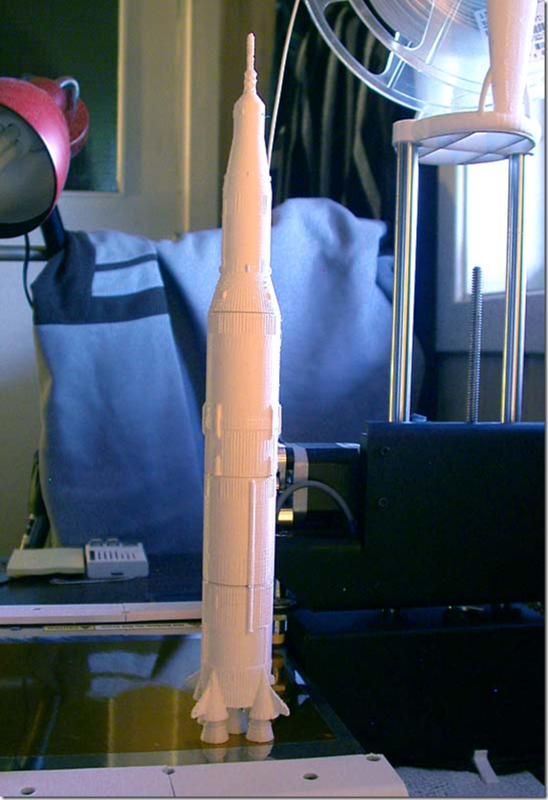 Recently, I discovered a model of the mighty rocket on Thingiverse http://www.thingiverse.com/thing:45316 so I thought it would be fun to print it. 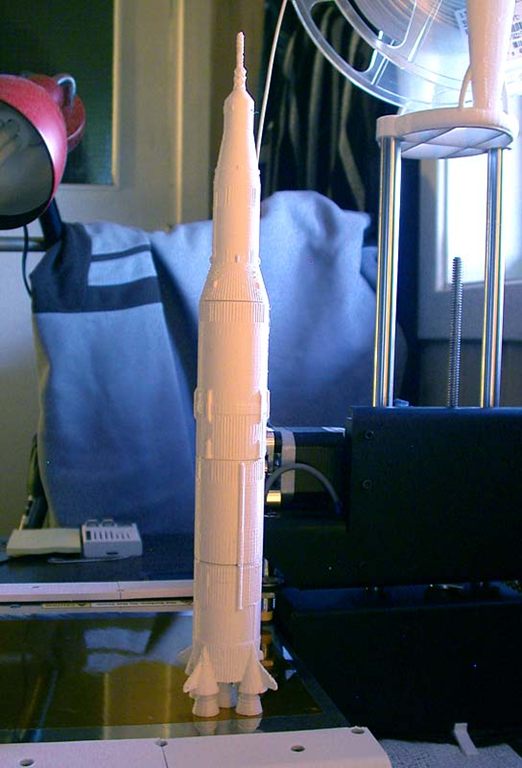 the model was split according to the original rocket stages, i.e. 3 rocket stages and the parts which flew to the Moon. The printed model is 30 cm tall, so essentially it is a 1/366 scale model of the original. 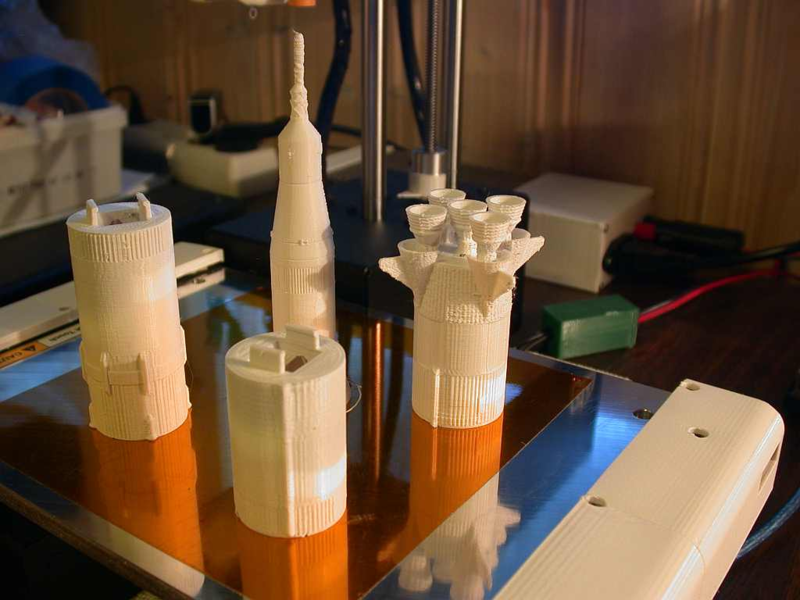 It was printed using 0.1 layer thickness, so each part took about 2-3 hours. It snapped together very nicely. This model will be allocated visible location in the living room!